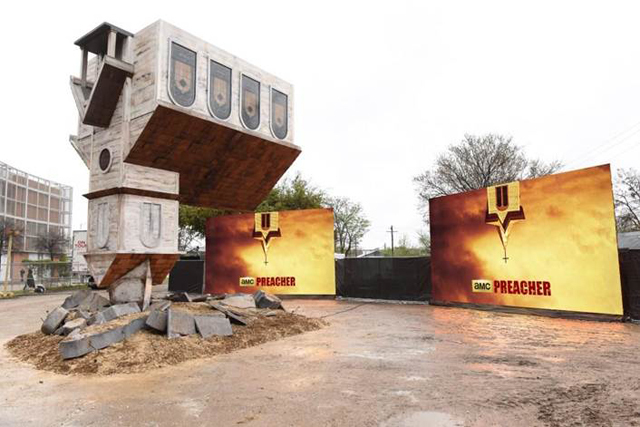 Ahead of the show’s world premiere at SXSW, AMC has unveiled an elaborate Preacher display in which the church is literally turned upside down. Check out the image above, and if you’re at the festivities in Texas, be sure to attend the show’s screening this Monday at 2:45pm at the Paramount Theater. Dominic Cooper leads the cast that also includes Joseph Gilgun as the vampire Cassidy, Ruth Negga as his gun-toting ex-girlfriend Tulip, Ian Colletti as the kindhearted yet startling Arseface, W. Earl Brown as his father Sheriff Hugo Root, Lucy Griffiths as Emily Woodrow, an original character in the series and love interest of Jesse’s, with Elizabeth Perkins as Vyla Quinncannon, the owner of the local slaughterhouse and a semi-original character, and Jackie Earle Haley as Odin Quincannon!. The series is aiming for a mid-2016 television premiere. 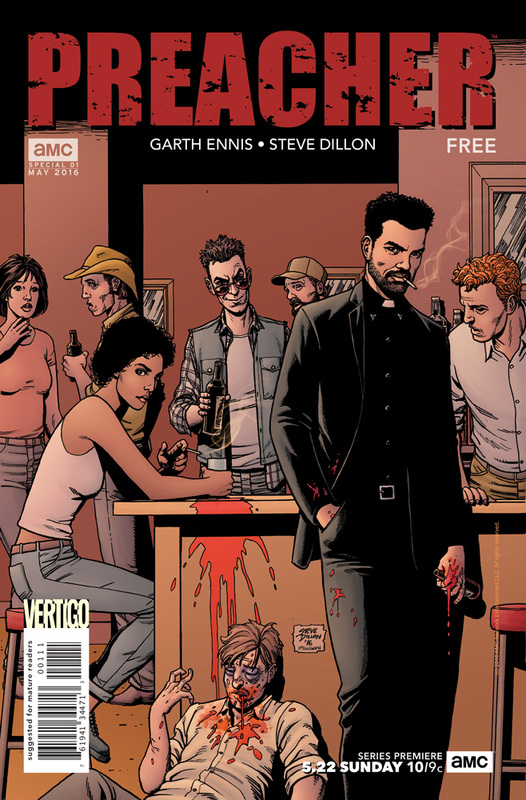 Published between 1995 and 2000, Preacher was created by Garth Ennis and Steve Dillon and was awarded four Eisner Awards during its publication.